Obinna Stephen Nwachukwu is one of the most interesting players in the Nigeria Premier League and one of the stars at Heartland FC. Nwachukwu is a product of FC Internazionale Enugu, an amateur club who has developed several talented players during the last couple of years, including goalkeeper Anthony Chinedu Udeh (born 13.06.1991) of Heartland FC, midfielder Emeka Francis Atuloma (born 01.10.1992) of Dolphins FC and playmaker Emeka Christian Eze (born 22.12.1992) of Rangers International FC. The Nigeria Premier League 2010-2011 was Nwachukwu’s first season playing at top level of Nigerian football. At times, Nwachukwu was a victim of the rotation system at Heartland FC, but he made several impressive matches during the season, scoring one league goal. In February 2011, Nwachukwu was named in the squad of the Nigeria U-20 national football team. 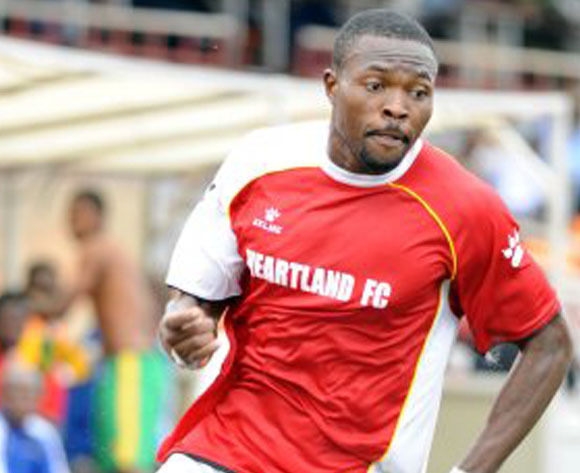 After the season, in December 2011, Nwachukwu was awarded as Heartland FC’s “Most Promising Young Player”. Later the same month, Nwachukwu was named in the squad of the Nigeria B national football team. On 11.01.2012, the Nigeria national football team played an international friendly match against Angola. Although Nigeria used home-based players only, the match is an official FIFA-match and Nwachukwu was part of the Nigeria team. After the match, Nwachukwu was linked to German second level side FC Ingolstadt 04. He also played training matches for the Bayern-based club. Nwachukwu has yet to score a league goal during Heartland FC’s 13 league matches so far in the Nigeria Premier League 2012. However, his obligations for the Nigeria national football team has made him unavailable for several matches. Nwachukwu is a versatile player, comfortable as a right-winger, an attacking midfielder or as a centre forward. Nigerian journalist Ojeikere Aikhoje has described Nwachukwu as a well built player who can bulldoze his way through any defence. Nwachukwu is also a very intelligent player, a very creative player and a team player. Nwachukwu is born 18.01.1992 and has therefore turned 20 years old a couple of months ago. From my point of view, Nwachukwu is obviously a raw talent but he could perhaps benefit from gaining more experience in the tough Nigerian league before he joins a foreign club. He has only scored one league goal in the Nigeria Premier League and I would like to see him become more dangerous in front of goal. The contractual status of Nwachukwu is somewhat unclear to me. It is possible that he is still contracted to FC Internazionale Enugu and is playing for Heartland FC on a loan basis. The picture of Nwachukwu is taken from MTN Football.